They are still like new! Finely carved ebony pegs for 4/4 violin. Warranty does not cover strings. Bridges are covered by warranty for a period of three months. The Sky Music Strings warranty does not cover seam openings. VIOLIN PEG FIX - VIOLA PEGS AS WELL – DROPS FOR SLIPPING PEGS - Lowest Price! 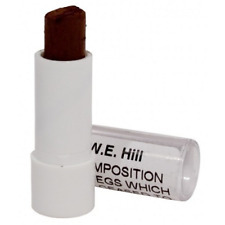 Violin Peg Fix for Stopping Slipping Pegs on Violins, Violas, Cellos, and Basses. The pegs are then shaped with a special 'peg shaver' that works much like a pencil sharpener. In a perfect world pegs won't slip, but in changing weather the pegs can slip and cause your playing to go very out of tune. 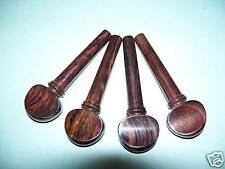 Excellent 5 Sets of Polished Rosewood 4 Violin oversize Pegs. C’est le modèle 164 C. sa conception engrenage sera aider à garder la 5e corde de votre banjo à l’écoute. Type geared 5th peg. Model Geared Banjo th Peg. Country/Region of Manufacture Taiwan. Much kinder to the pegbox, as they are held in by friction like a regular peg instead of screwing and gluing.in other words, you DO NOT ruin your pegbox. Made in Germany by Wittner, the Finetune Violin Peg provides very easy, quick, effortless and very precise tuning. Comprendra Gut réglable. Country/Region of Manufacture India. Acoustic Violin Size 4/4. Country of Manufacture India. Violin Type Acoustic/Electric. Model Set of Rosewood parts and Ebony fingerboard. Skill Level Apprentice to Professional. Fiddle Complete 4/4 Violin Parts. Acoustic Violin Size 4/4 full Rosewood Fingerboard. Color Rosewood Fingerboard, Rosewood parts. Complete set of 4/4 violin accessories. 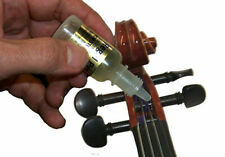 This should rejuvenate your violin toa classy one. 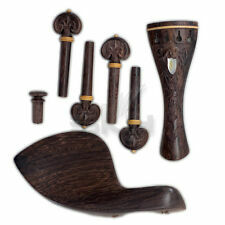 The set consists of four nicely carved pegs, chinrest, endpin andtailpiece equipped with nice inlaid pearl parisian eye. Model Dresden Chin Rest Swiss pegs Tulip Tail piece. UPC 0799666100093. Grover model 8N Sta-Tite gear-style standard ukulele tuning machines.Nickel finish with round buttons.14:1 ratio. Requires 23/64" headpiece holes. Cet ensemble de tuners, modèle 122G 5, de Grover sont pour 5 cordes, banjo bluegrass. Ils sont or et fonctionnalité des engrenages planétaires et carré pearloid boutons. Celles-ci sont très stables et aideront à garder votre banjo au diapason. High quality at a low price. Warranty does not cover strings. Bridges are covered by warranty for a period of three months. The Sky Music Strings warranty does not cover seam openings. Sky trumpets, Sky pocket trumpets, Sky piccolo trumpets, Sky Flugelhorns, Sky trombones, Sky French Horns, Sky flutes, Sky piccolos, Sky clarinets, Sky alto saxophones, Sky soprano saxophones, Sky tenor saxophones, Sky baritone saxophones. Comprendra Gut réglable. Model 3/4 Ebony. Country/Region of Manufacture India. Acoustic Violin Size 3/4. MPN Does Not Apply. Violin Type Acoustic/Electric. Leader back fitting mandolin machines have precision worm gears on engraved plates and Faux Pearl buttons. Complete with eight bushes and ten fitting screws. Also available: Leader high quality 'A' Style tuners for 'A' Style Mandolins. Grover model 872 Champion Sta-Tite Patent Series 5th tuning peg for 5-string banjo. Non-breakable black button. Complete set of 4/4 violin accessories. This should rejuvenate your violin to a classy one. The set consists of a chinrest, four nicely carved pegs(black or white dot), an endpin and a tailpiece. The wood used is. Pre-shaped to fit most violin peg holes. Not pre-drilled with string hole. Model Dresden Chin Rest Swiss pegs Tulip Tail piece. UPC 0799666100086. 1 réglage carré clé (bien sûr en raison de vertèbres de o.a. de voix). -1 rouleau de fil de piano ( 0. 81 mètres). En principe, nous avons mais aussi tous les autres points forts. Set composé de. Abanoz Burgu / Wirbel / Baglama / Saz / Oud / Ud / Geige / Keman / Rosenholz /. Abanoz Burgu / Wirbel / Baglama / Saz / Oud / Ud / Geige / Keman / Rosenholz. Sie sind uns wichtig! Sollten wir keine Lösung für ihr Problem finden, holen wir die Ware ab. Excellent 2 Sets of 4 Polished Ebony Violin With Black Ball. Precise engineering assures sure, smooth tuning. One piece back plates. Heavily plated. Screws and bushings included. Grover model 6W Champion Sta-Tite ukulele tuning machines.Nickel finish with non-breakable white buttons.New design with nylon cone thrust washer for more secure tuning. Fits most ukuleles without modification. This set of tuners, model 122G5, by Grover are for 5 string, bluegrass banjo. They are gold and feature planetary gears and square pearloid buttons. These are very stable and will help keep your banjo in tune.